The Future Farmers of America changes its name to the National FFA Organization to reflect the growing diversity in agriculture. Seventh and eighth grade students are permitted to become FFA members. The Agriscience Student Recognition Program is introduced. 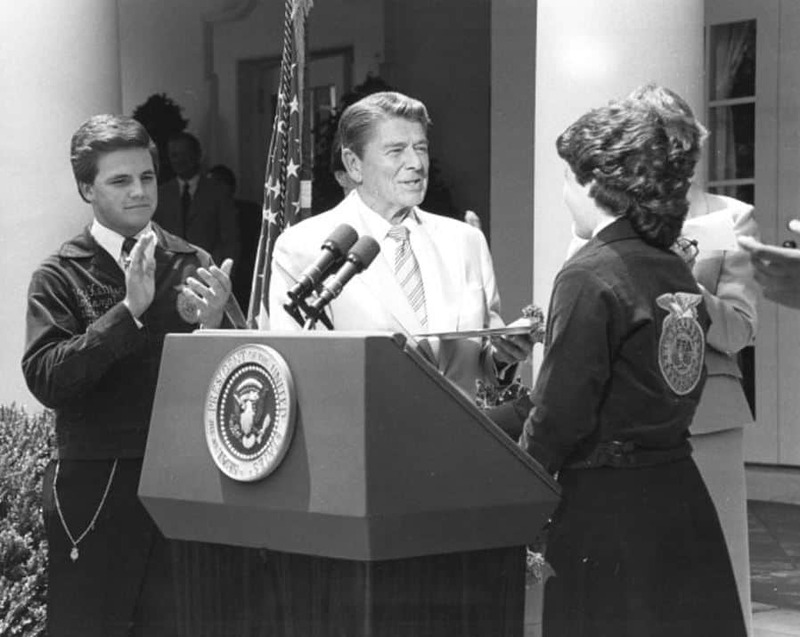 President Ronald Reagan speaks at the National FFA Convention via a prerecorded message.